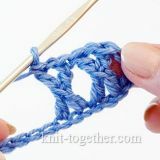 Today we learn to fix the stitches of the final row using the main technique. This method is used the most frequently. It will suit for the most patterns. The main technique of binding off produces a smooth and rather elastic edge of cloth. 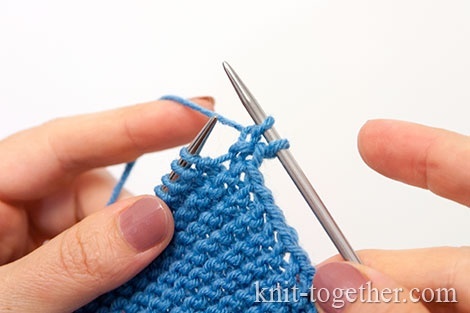 Slip the first stitch from the left needle to the right one, as usual. Work the second stitch. 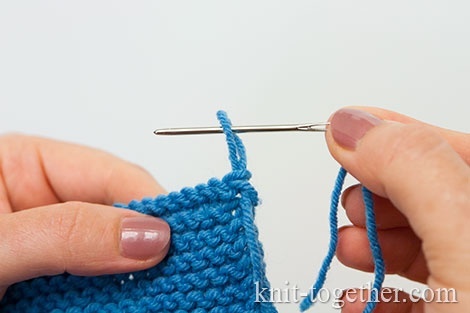 You get two stitches on the right needle. 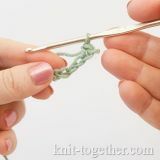 Insert the left needle, from the left to the right, into the first (right) stitch on the right needle, pull it towards you. 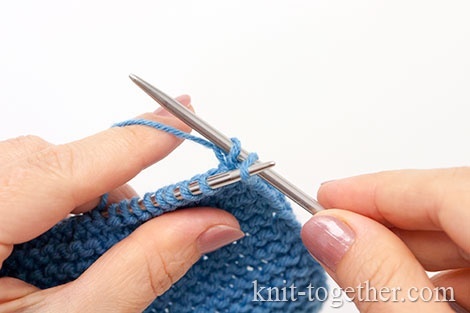 Now pull the second (left) stitch through the first one. 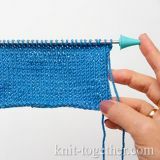 Slip the first stitch off the needle. 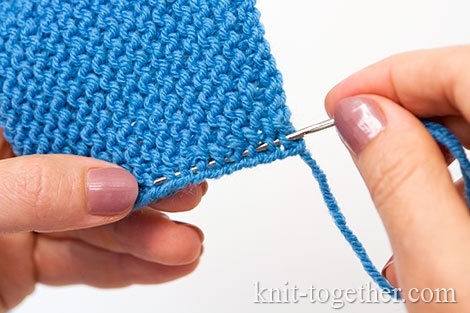 Repeat the process again: work the next stitch and slip the stitch from the right needle through it. 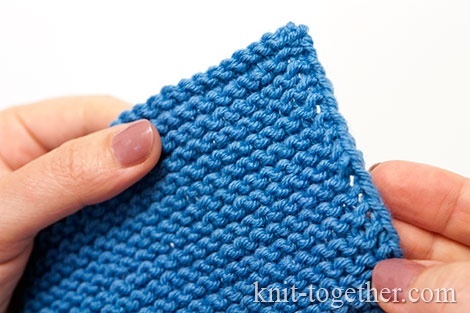 Proceed until you close up the row and leave one stitch on the needle. 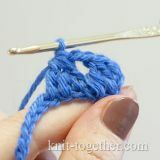 To cast off the end of yarn, use a yarn needle. 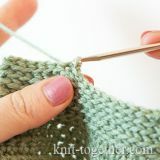 Make the last stitch of the row a little bit longer in order to avoid its getting loose. 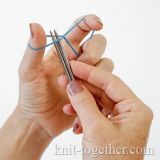 Cut your working yarn with leaving a free end having the length of 10-15 cm in order to you can pull it through the needle. 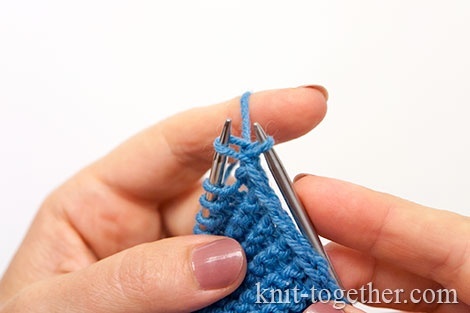 Insert the needle into the stitch and tighten one. 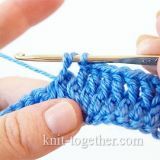 Then, hide the end of the yarn into the stitches near the edge on the back side and close to the edge stitches at the distance of 4-5 cm. 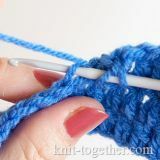 Cut off the excess yarn. Now the fastening point is virtually invisible. Hide the yarn end of the casting row as well.